Project Goal: Create a gateway to Kennedy Park . 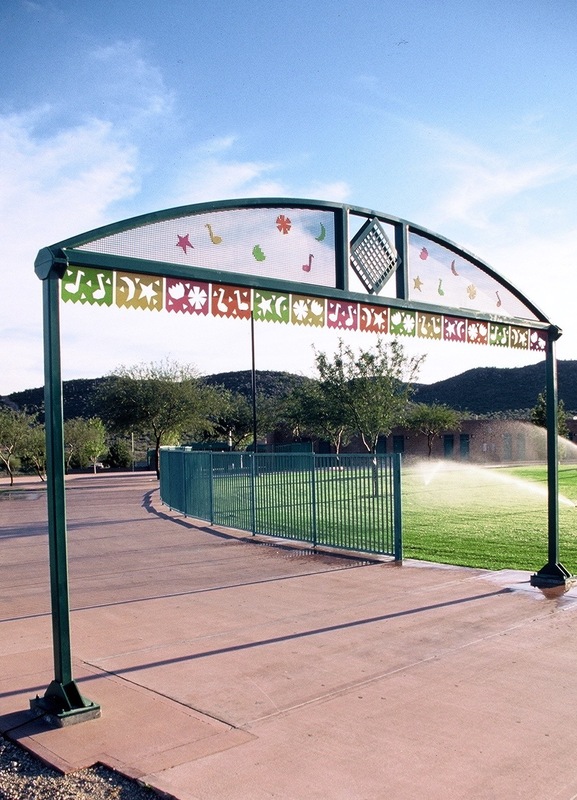 The Story: Completed in collaboration with the City of Tucson Parks and Recreation Department, and graphic artist Karen Piovaty. 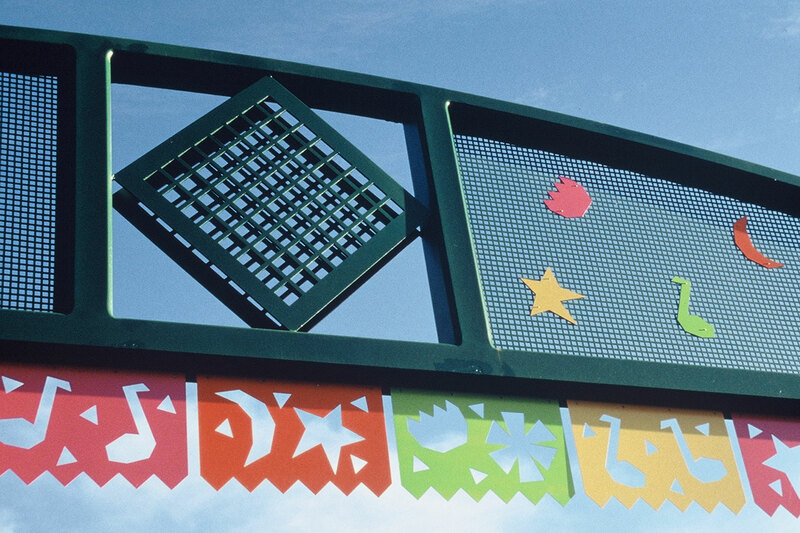 Design celebrates the culture of Tucson by enlarging the colorful flags known as papel picado, replacing the traditonal wax paper with steel, and spanning across the walkway into Kennedy Park. Project Completed September of 1996. Particulars: Brightly painted, hinged metal flags hang from the steel structure 25' W x 14' H. (15) Picado flags in four colors have three diffrent plasma cut images. Positive images from the cut flags were pop-riveted onto the top portion of the steel structure.